So Bud Light just came out with something called Bud Light Platinum. Apparently the same taste and price as Bud Light, but with 6% alcohol (and 137 calories for our weightwatching NSD audience). I don’t know how I haven’t heard about this yet, but I guess Budweiser has been quietly rolling it out in select cities around the country to see how it does, before a huge unveiling this Sunday during the Super Bowl. I don’t really think they need to be secretly rolling it out or “testing” it to be honest. Clearly everyone loves Bud Light, in that you can be casually be drinking watching TV and suddenly you’ve drank 15 beers without even noticing. The only problem is that it’s so low in alcohol that you have to drink about 20 of them to get drunk while you are peeing all over the place. 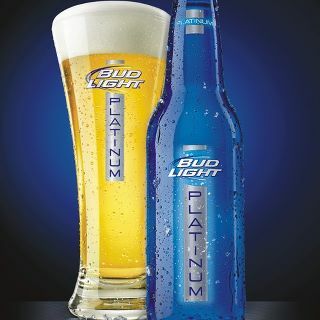 BL Platinum seems to address this need, by upping the percentage to 6% (regular light is 3.9%, Bud Heavy is around 5%). The question is, does it actually taste like light beer? Or is it similar to Bud Ice, which is truly undrinkable unless you are completely blackout drunk and also in college. If they’ve succeeded in making it taste like regular Bud Light, we are all in trouble. Expect a lot more grammatical mistakes from my end, for one.